Circular outline. Circular, concave discus has central filling hole with raised rim, ray motif, rounded framing ring, and small slit for airhole at front rim. Shoulder has wreath. Narrow, pierced handle with two grooves. Details are sharp. 7.5 YR 8/6, reddish yellow. 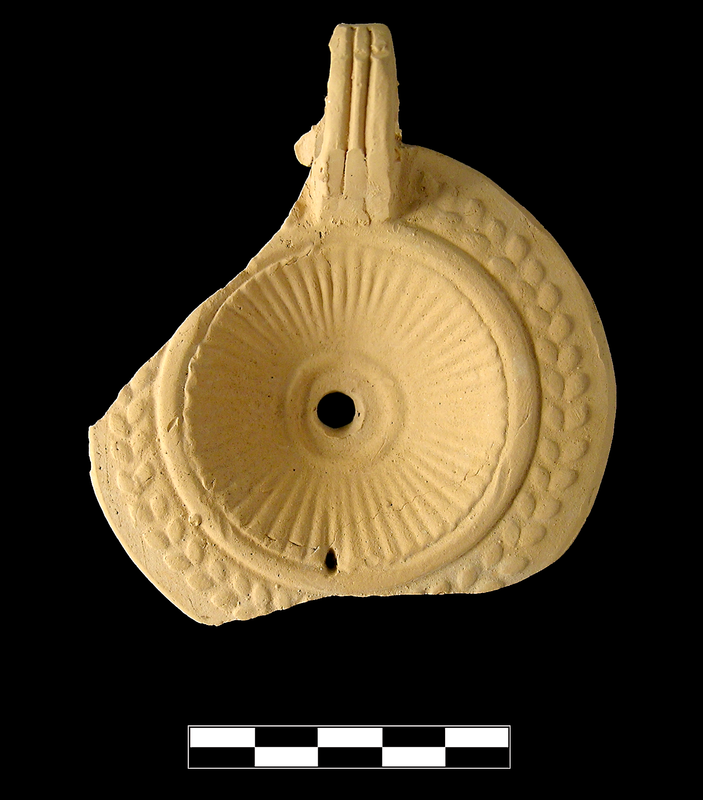 Early/Middle Roman Corinthian pale lamp fabric: somewhat soft. 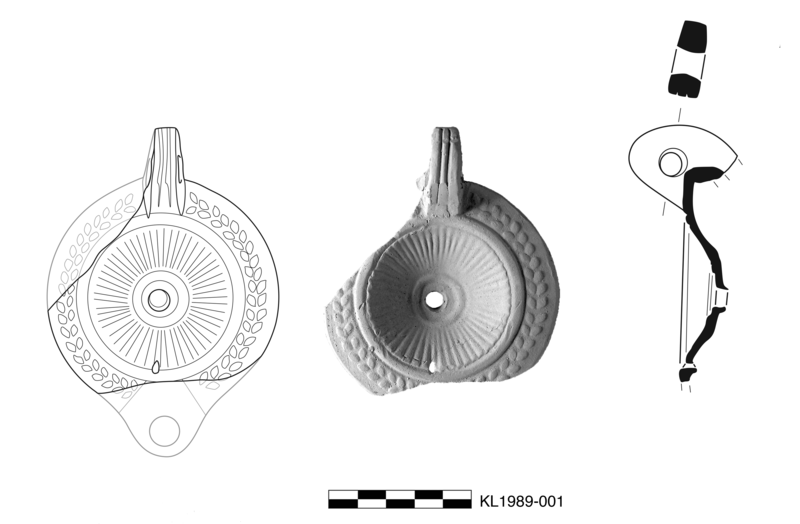 One large fragment preserves entire discus, two thirds of shoulder, and three quarters of handle. Well preserved surface.